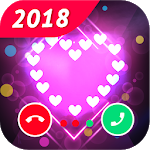 Color Phone Flash is a call screen themes changer & caller LED flash & flashlight & ring light for caller screen for Android phone on Google Play 2018. 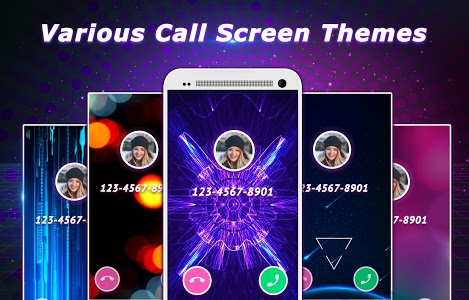 With LED flash alert (call flash) and colorful call screen themes, Color Phone Flash, a call theme changer and call screen changer, offers a mass of Caller Screen themes for incoming calls. 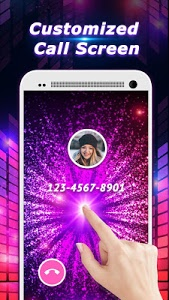 You can customize caller screen with any caller screen theme, LED flash alert (call alert), call flash style you like. 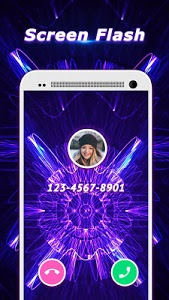 Download the Call screen themes changer and call theme changer to enjoy FREE LED flashlight alert, call alert & caller screen themes app to changer call screen slide! Enjoy flashing lights when phone rings! As a call theme changer, Color Phone Flash allows you to customize your caller screen with fantastic and stylish call themes. Open app and set up likable caller screen themes. Similar to "Color Phone Flash - Caller Screen, Caller ID, LED"